I have never been able to make a good poached egg. I have tried spinning the water, putting vinegar in the water and even using those little rubber cups you can get at the shop. Every time they fall apart or are raw in the middle. But that was until somebody at work told me about this amazing idea. This is a much healthier option than a fried egg, much easier than scrambled and honestly, I am not a fan of boiled eggs. I like a firm white with a runny yolk and this always works for me. 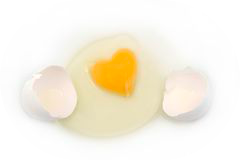 So why not give it a go and see what delicious eggs you could soon be making? As many delicious eggs as you want! 1. Boil a pan of hot water that will fit as many eggs in it as you think you will want. 2. 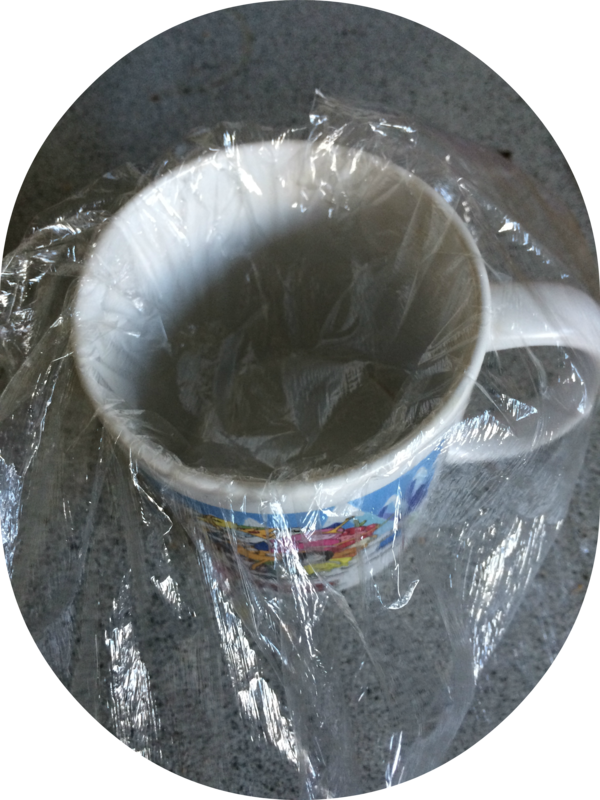 Grab a normal sized mug and break off a large square of cling film. 3. Place the film over the mug and push in to make a little dent. Put a tiny drop of water in the dent to stop egg from sticking. 4. Crack one egg in to the dent in the film (inside the mug). 5. Fold the film in on itself to create a little parcel. Make sure to tie a little knot in it. 7. To check it’s cooked enough remove it from the water and give it a quick poke. If its hard and doesn’t wobble then it’s all done! 8. Cut the knot off the little parcel and flop out the eggs on to a salad, on to toast or wherever you want. DELICIOUS! 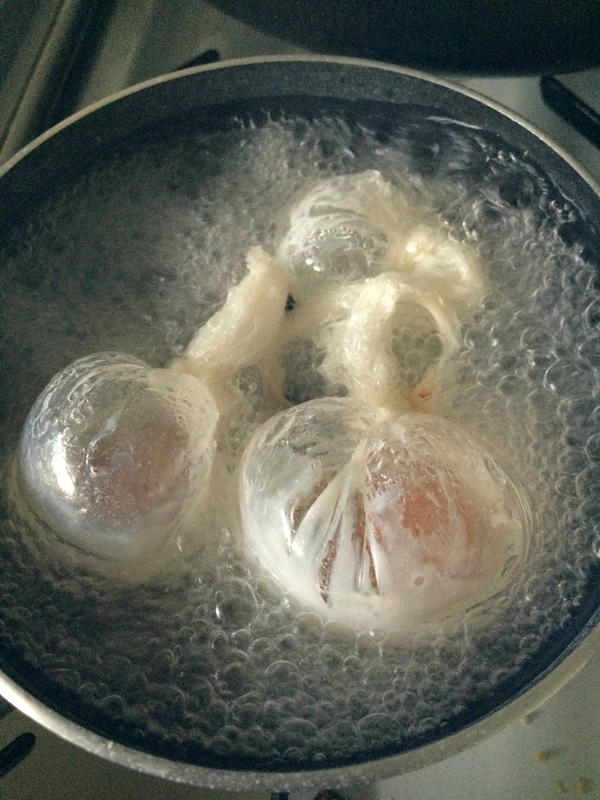 I have tried many ways of cooking poached eggs and my eggs have always fallen apart. This way is completely fool proof.